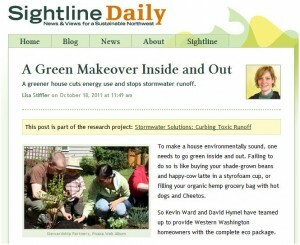 Lisa Stiffler tells a great tale in these Sightline Daily reports that help us better explain Sustainable Neighborhoods concepts and how they create wealth. Our homes are the single most important investments most of us will make in our lifetimes. Homes and neighborhoods can also become enterprise centers that work for us to create local employment and provide less expensive services. 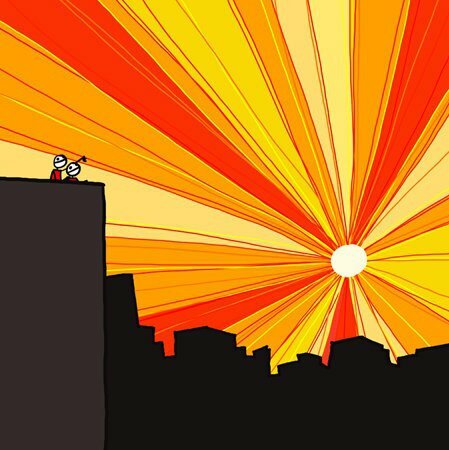 These directly increase our standards of living and improve the qualities of our lives. Neighborhoods create wealth and become exporters of services when they produce more than they consume. Rain Dog Designs puts a number of these ideas into practice by collaborating with Revolution Green Power to fold energy audits into rain garden planning and construction. It is a work in progress, and Lisa does a good job explaining the nuances of home energy audits that make solid investments into energy efficient homes. Rain gardens add by creating attractive and environmentally friendly landscapes that are less expensive and easier to maintain. 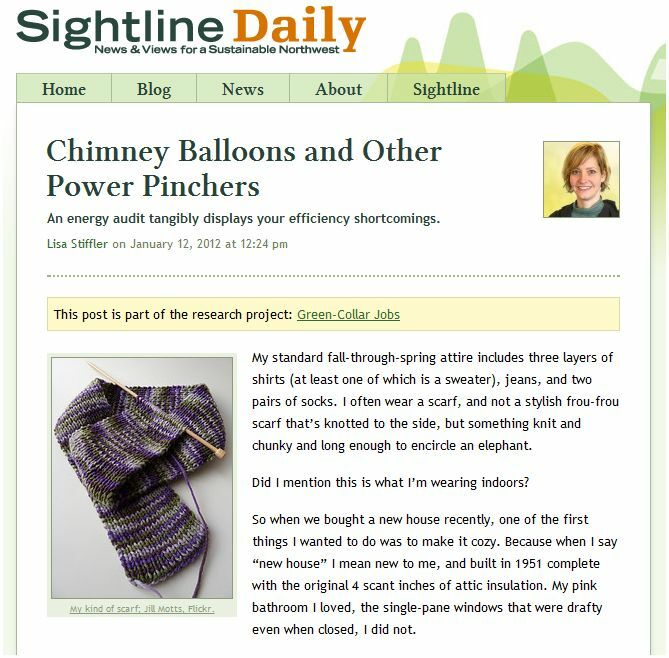 Up close and personal, Lisa follows with Chimney Balloons and Other Power Pinchers, a story about a Revolution Green Power audit at her home.